It is with extreme diffidence that I venture to undertake a short commentary or analysis of the book whose title heads this article; not only because of the nature of the work itself, but also because it has already been twice commented upon, once by the author, and once by a very learned student of Eastern Literature. The author’s notes, however, were rather an extension of the original text than a commentary in the strict sense of the word: while the object of the second annotator was more an attempt to show the identity of the doctrines contained in Light on the Path with those of ancient Brahamanical Philosophy, than to give the nature of those doctrines in themselves. 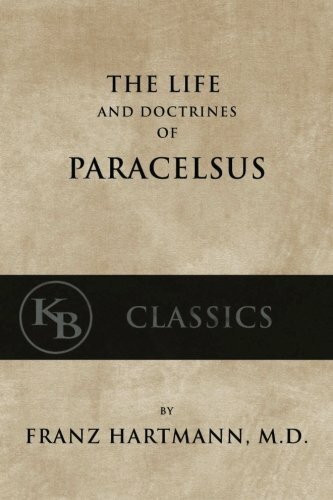 The object of this paper on the contrary, is to attempt to analyze the scheme of Philosophy in accordance with which this little book has been written; in other words, to attempt to set forth the intellectual counterpart of the spiritual doctrines of Light on the Path. It is inevitable that, in thus changing the doctrine from the Spiritual to the intellectual plane, so to speak, the intellectual counterpart should be inferior to the Spiritual original. To counterbalance this loss, however, it is true on the other hand that the intellectual counterpart may render the spiritual original accessible to some, the conformation of whose minds renders them unable to appreciate it directly. It is in the hope that this may be so that the present paper has been attempted. To begin with, then, the work we are considering indicates a possible enlightenment of the Soul, and development of the higher part of our nature; and further states that these results cannot take place before a certain battle has been fought and won: we have, therefore, to discover what the soul is; what is the nature of the battle; what are the opposing forces; and what are the results of the struggle. The combatants are the higher nature, or Soul on the one side; and the lower nature or egotism on the other. The higher nature includes the intellectual, Spiritual, and aesthetical powers: that is to say, the powers which deal with the perception of truth, goodness, and beauty. The sense of truth is characteristically manifested in the conquest of some intricate mathematical problem, or in following successfully some difficult chain of reasoning. The sense of beauty is manifested in the joy with which we behold the splendor of a glorious sunset. The sense of goodness is manifested in the voice of an approving conscience, or in the reverence and admiration we feel for some godlike and noble character. It is undeniable that the intellect can discriminate between what is, and what is not true, within its own domain, the aesthetical faculty also can pronounce with certainty as to the presence or absence of that quality which we call beauty. So can the moral nature decide without hesitation as to what is or what is not in accordance with Righteousness, These three powers of the higher nature are subject to development, that is to say, at different periods they will perceive the qualities of beauty, truth, and goodness in different objects, and in different degrees; but as to the reality of the three qualities their voice is ever the same. The three powers perceive three harmonies, each in its own domain; when the three are harmoniously developed the three harmonies are perceived to be one, and to this one great harmony are given the names of the Eternal and the Law of God. The seer of old feeling the sense of Righteousness within him exclaimed: “I will rejoice in the Eternal, and in him will I put my trust.” When the powers of the higher nature are developed, under all temporary disharmony and chaotic disturbance, are perceived a deeper order and more enduring harmony ever at work. Marcus Aurelius had perception of a deep Spiritual truth, when he wrote the concluding sentences of the following utterance. “Figs, when they are quite ripe, gape open: and in the ripe olives, the very circumstance of their being near to rottenness, adds a peculiar beauty to the fruit, and ears of corn bending down, and foam which flows from the mouth of wild boars, and many other things,—though they are far from being beautiful, in a certain sense,—still, because they come in the course of nature, have a beauty in them, and they please the mind; so that if a man should have a feeling and a deeper insight with respect to the things which are produced in the universe, there is hardly anything which comes in the course of nature, which will not seem to him to be, in a manner, disposed so as to give pleasure.” That is,—in all things, could we but perceive it, is the harmony of the Eternal. The first harmony, the harmony of truth, is perceived by the scientific materialist; that is to say, he is capable of perceiving the reign of Law in the physical universe. The artistic nature can perceive the harmony of beauty in nature and art. By the spiritually-minded is perceived the moral harmony. It is the distinctive mark of modern Civilization that the harmonies of truth and beauty, of Science and Art are perceived and openly recognized by all, while the harmony of Holiness is passed over, in silence and oblivion. It is the object of Theosophy, rightly understood, to arouse the world to a renewed sense of the harmony of Righteousness. But the moral sense condemns the existence of this self, this centre of force, which is not in accordance with its perception of Harmony. When once the moral nature comes to perceive the evil of egotism, the question inevitably arises for solution, “Shall this cause of dis-harmony cease or continue?” If the decision is for its continuance one of two things will happen. Either, before the moral nature has been completely paralysed and atrophied by neglect,—before the seared conscience is completely silenced,—the fact will be recognised, in the midst of pain and sorrow unspeakable, that “to work for self is to work for disappointment;” and in that case the moral nature may at last meet with its development and all may be well; “the weak must wait for its growth, its fruition, its death, and it is a plant that lives and increases through the ages.” It has been said also “the forging of earthly chains is the occupation of the indifferent, the awful duty of unloosing them through the sorrows of the heart is also their occupation” and truly “both are foolish sacrifices.” Either this takes place, or,—the moral nature at last becomes completely deadened, all the force and vital power which has been drawn away from it goes to strengthen the Egotism which becomes from henceforth a centre of evil, of destruction; an enemy of the eternal. It seems that individual existence means a certain amount of force; which may vitalise either the powers of the higher nature or those of the egotism; or those of both, in part. It seems also that the egotism is a group of centres, so to speak, from some or all of which the energic force of the individual may work: so that, for example, when this force works from one centre in the egotism sensuality arises; when from another centre, hate; from another, evil ambition, and so on. When the energic force is raised to the higher nature it may act from various centres; from one, as charity; from another, as holiness, and so on. Hence, “any good quality may become any other good quality”—if the conditions are favorable. It seems also that the Will can degrade the energic force from the soul to the egotism; or, conversely, can raise it from the egotism to the soul; so that, by the alchemical power of the will, so to speak, the baser metal becomes converted and, rising to the top of the still, becomes pure gold. Besides the higher and lower natures we have been considering there resides also, in the complete being, consciousness or sense of existence and will. When all the portions of energic force,—or the Satwaic sparks, as they are elsewhere called,—rise to the higher nature, the individual becomes one with the Eternal, and a part of the United Spirit of Life, and individual existence ceases, in a sense. When the question is asked “Shall the self cease or continue?” the moral nature answers decisively “It ought to cease.” If the truth of this mandate is recognised, at once a terrible struggle arises; self opposed rises with tenfold force and violence; again and again it craftily casts doubt on the truth of the moral nature; raises obstacles, temptations and hindrances; all the pleasures it has enjoyed are to be swept away forever; all the momentum and power that the egotism has gained, through long continued indulgence and unhindered growth, are brought to bear at once on the struggle; the whole nature is torn by the conflict, the will is tried to the uttermost; but under all this turmoil and strife lies the assured consciousness of final victory; it is felt that sooner or later the self must be destroyed, that it is built for time and not for eternity, that its days are numbered. During the struggle intervals of peace occur, and grow greater and longer as the end approaches; till at last, when the final victory is won this peace becomes habitual.